Motifs are recurring elements in works of art. Islamic art and architecture has its own set of elements or motifs which make it easy for us to know whether the art or construction is a product of Islamic art. Just like Japanese art has nature, dragons and seasons as its motif, Islamic art has its own set of elements which make it unique. 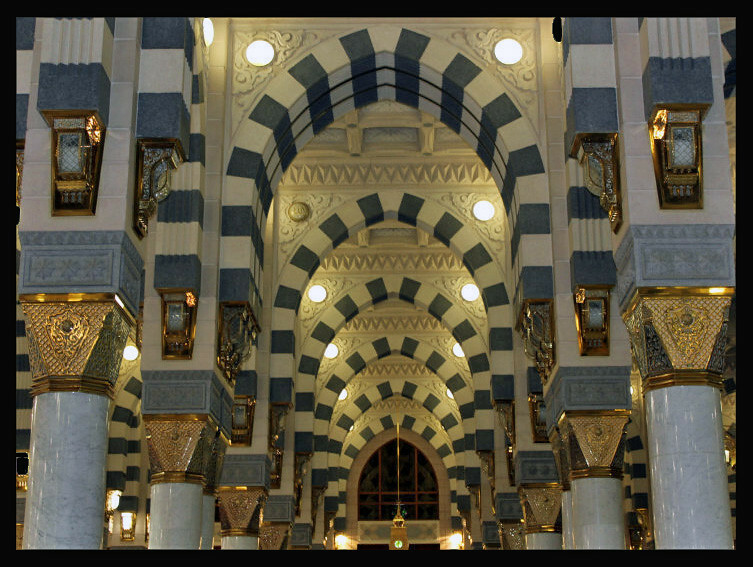 Here are some elements which are commonly present in Islamic architecture and art. 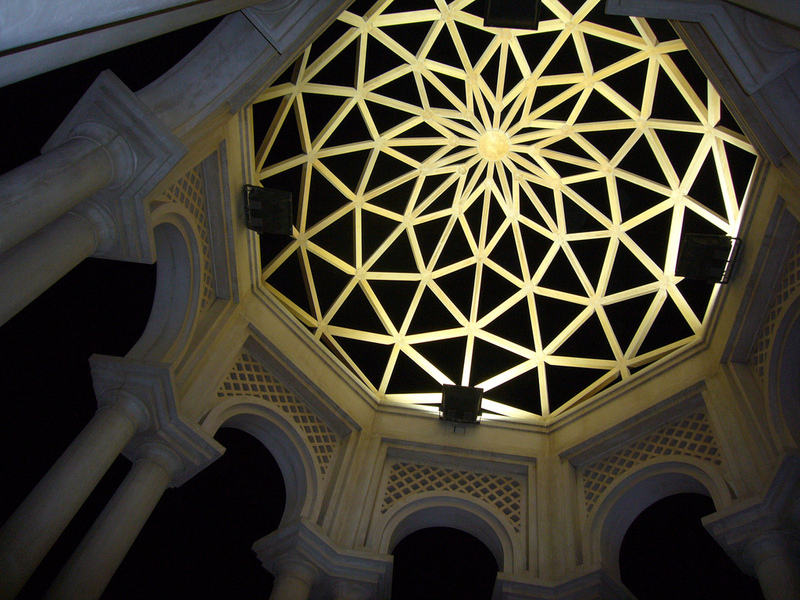 Simple forms of geometric patterns are combined or interlaced to form design. The symmetry of these geometric designs offer the artist a lot of freedom, versatility and allow space for other kinds of ornamentation. They often symbolise infinite growth. Basic shapes: circles, interlaced circles, squares, and four sided polygons, and combinations form the ubiquitous star pattern. These are patterns are representations of plants and hold no symbolic meaning. These are often colourful and paired with other elements like calligraphy. Example: floral patterns in arabesque designs. This is one of the most fundamental aspects and is also very popular. The verses of the Qur’an are often written in this form to reinforce the message and to also be aesthetically appealing. In principle, calligraphy is the means to transfer information/text even if it is not readily understood by everyone. One word could be just the stroke of a brush, or a single letter could be a decorative knot in calligraphy. 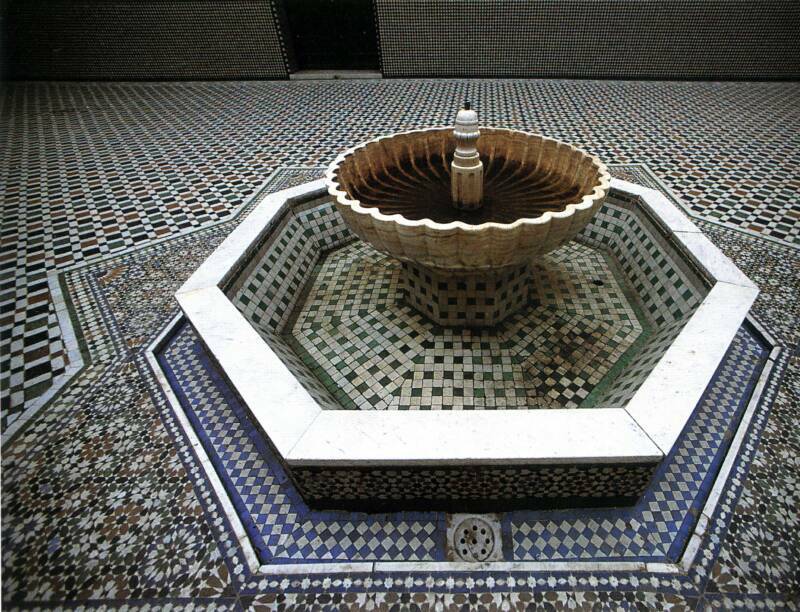 These are commonly found in the architecture of mosques, and is a fundamental feature of Islamic architecture. It usually has a conical onion shaped crown. It represents the hollow upper half of a sphere and it is one of the most common features, especially in mosques. It is decorative and is also a source of cooling. It also visually emphasises the architecture. It adds a dynamic quality to the architecture, extends forms and patterns and also enhances the texture and contrasts of planes. Other common features are gardens, arches, columns and courtyards. 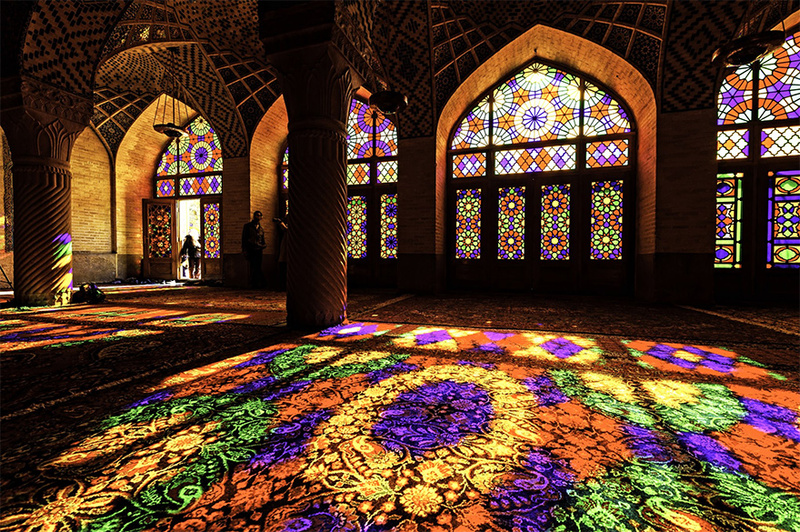 Which element of Islamic art and architecture do you find most appealing?! Tell us in the comments below!